A manager is paid to ride out adversity and play 0.500 while things improve. However, there is nothing a manager can do when the horses including pitching don't perform. 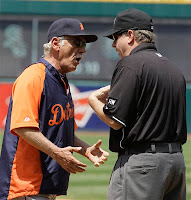 I believe Leyland spends a lot of time in spring training testing the tryout players rather than fundamentals. This defense is NOT going to get better, only way is to power hit and that is not a reliable formula. 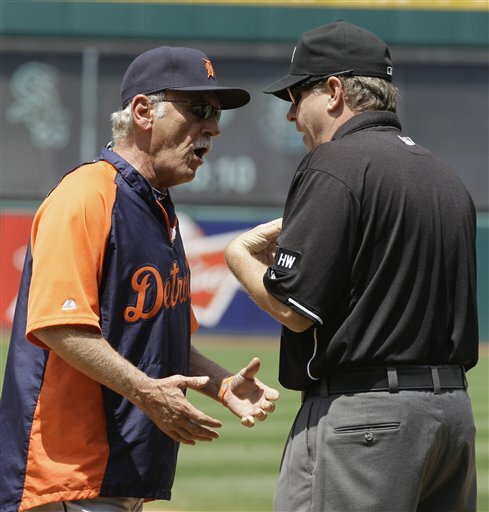 not to minimize current Tiger struggles, but didn't the "perfect storm of baseball destruction" happen years ago one night in Chicago, between games of a Tiger doubleheader, at an event called "Disco Demolition" Night? Bat giveaway days would also be high on that list. Nice eye-catching title though, which gave me a good chuckle.